A piece of comic book history, this limited edition, from original art by Jim Cheung, depicts the classic characters Captain America, Spider-Man, and Iron Man. Jim Cheung was named as one of 2005's "Young Guns" by Marvel Editor-in-Chief Joe Quesada, and has been described as a "future superstar penciller." 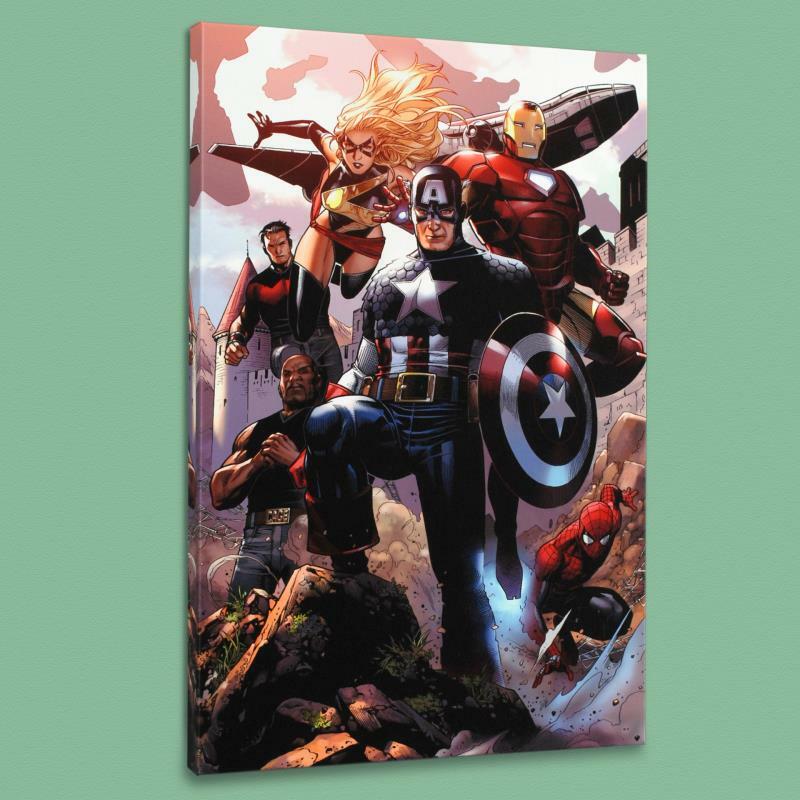 "Avengers: The Children's Crusade #4" is a limited edition numbered giclee on canvas by Jim Cheung presented by Marvel Comics. This piece comes gallery wrapped. Includes Certificate of Authenticity! Measure approx. 18" x 27" (image).